Last month, I received a press release from Essie's PR collection regarding one of their new fall collections, Yogaga, which was a collection of 6 "neutral" cremes with fitness-themed names. I thought it was such an intriguing collection for fall, and I'm so happy to show it to you today. Boxer Shorts - light periwinkle blue. Boxer Shorts is the reason that I put the word neutral in quotations above, because while it is a calm, serene blue, it's not what I would exactly call neutral. It is, however, a gorgeous color and it's my favorite of the collection. 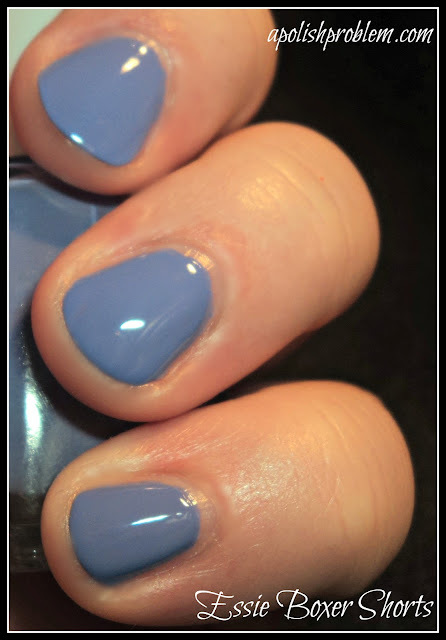 This one is definitely on the blue side of periwinkle, but there is a enough purple in the base to make this one a periwinkle rather than a cornflower blue. Also, of the 5 I swatched, Boxer Shorts had the best formula. It did take 3 coats to reach opacity, but the coats were thin enough that there was no issue with evenness or leveling. Gym Dandy - medium-toned, brown taupe. 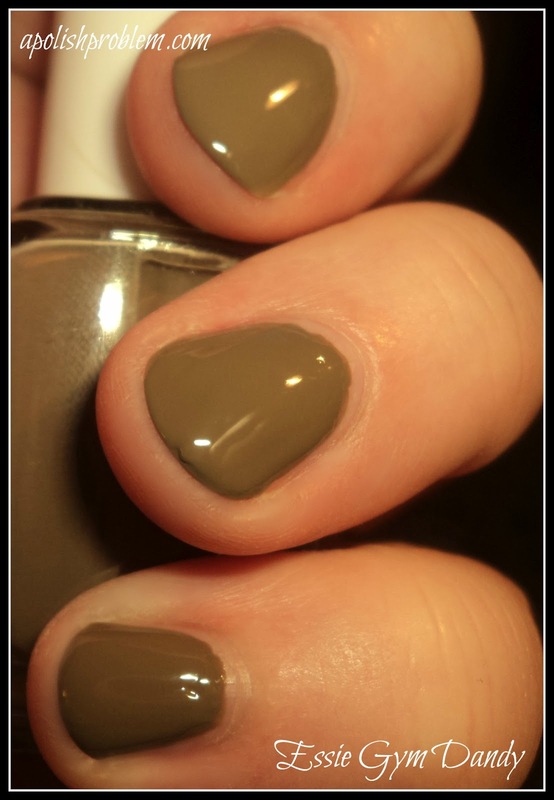 Essie calls this one a "greige" and while I definitely see brown and mushroom and taupe, I don't see much grey. It's certainly in the same vein, but it's more brown than what comes to mind when I see the word greige. This one is one of the more fall-ish colors in the collection. I did have a bit of issue with the formula, as it was a tad thick, but going slow and trying to keep a thin amount on the brush helped. 3 coats. 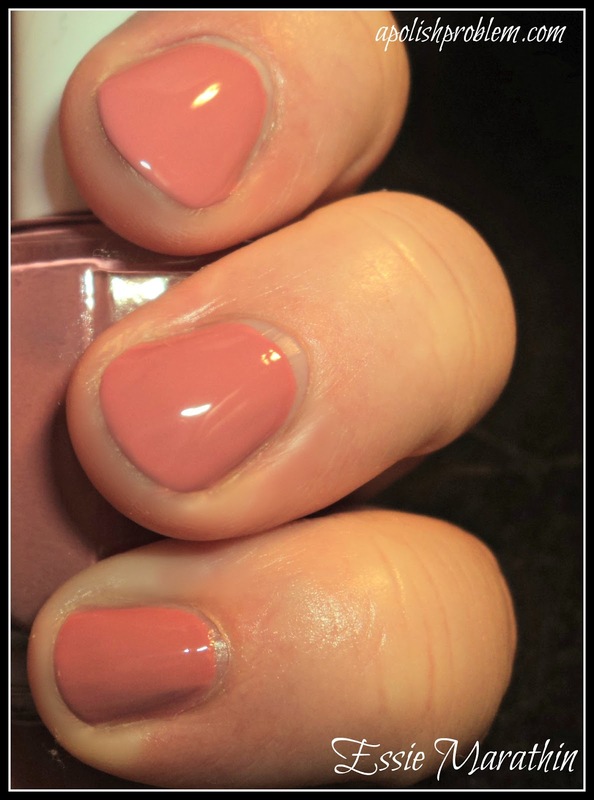 Marathin - slightly spicy, tea rose pink. Marathin is the one that I have shown you before, and it's a very pretty pink for cooler months. The more I wore it, I did think it age my hands a bit, but in all honesty, that also could have been from the Julep remover which dried out my hands while I was swatching. This one is a great pink for those of you that just like to wear neutral colors. For example, my mom and aunt would LOVE this one. I did have the same formula issues that I had with Gym Dandy, but they were nothing that couldn't be handled. 2 coats. Pilates Hottie - light grey-lavender. Now this is one that I would call a "greige", albeit a very pale one. It's a really pretty grey/lavender hybrid, but unfortunately, it didn't look all that great on my nails. Though, I think it would look much better on a darker skintone. These pale greys and lavenders always have a tendency to give me a case of "dead hands". Like the other 2 light colors I swatched, this one also had a thicker, slightly temperamental formula. 3 coats. Spinning Again - brick red. 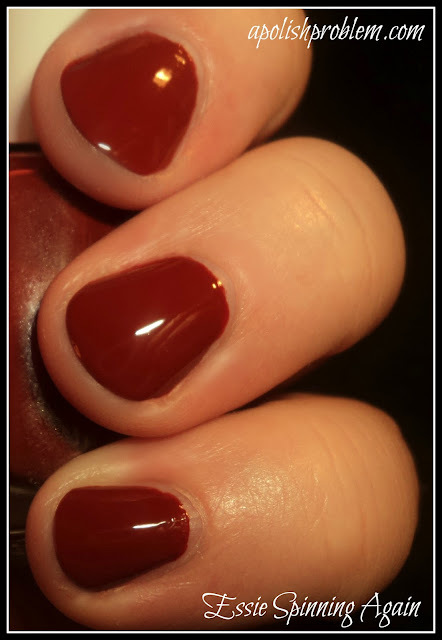 In the bottle, I thought this one was going to be more brown, but on the nail, it's a fantastic brick red that just screams "FALL!". It's also very flattering on my pale skintone. It had one of the better formulas in the collection and is my second favorite behind Boxer Shorts. I think this is a very wearable fall collection from Essie. It's funny because while it is a collection of neutrals, my favorites were the least neutral of the bunch. What does that say about me? LOL. The collection, including Yogaga, is currently available from Essie.com, as well as other outlets (I think I actually saw it at Target last week), and retail for $8 a bottle. This collection was sent to me for review. 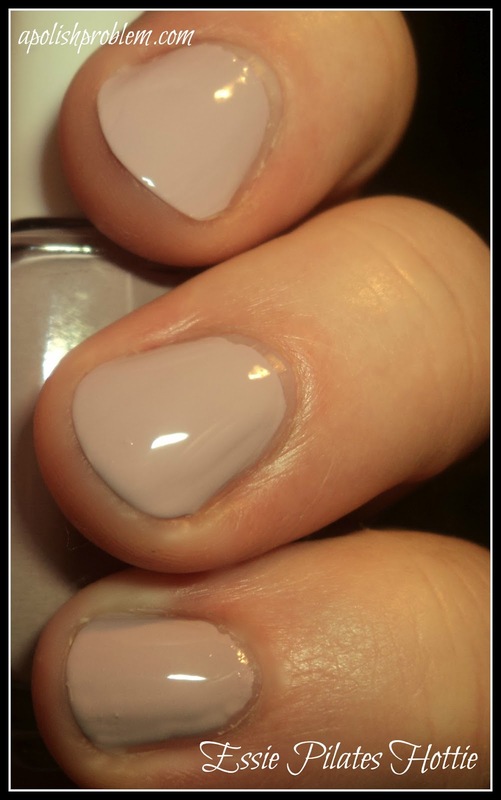 Marathin looks really nice and soft, but nudes are always the one shade that stays in my drawers unused the longest.